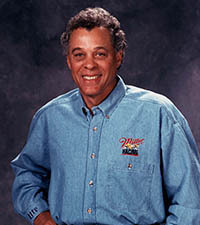 SEMA Hall of Fame - Don Prudhomme, 1997, Don Prudhomme Racing. 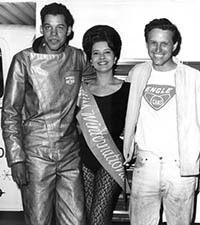 Don "The Snake" Prudhomme is recognized as one of the greatest drag racers of all time. In 1962, Don first made his mark in motorsports when he won the Top Fuel class at Smokers March Meet in Bakersfield, California. One of the most popular celebrities in all of drag racing —and one of the winningest Top Fuel drag racers in the country in the mid-1960s—Don has driven dragsters and Funny Cars, but his Hall of Fame honor came as a result of his work through the years to achieve improved safety through chassis and equipment design standards. 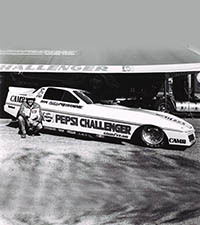 The Snake is on the NHRA’s list of wins, earned consecutive Winston Series titles and broke the 250-mph barrier. 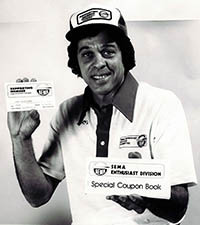 He was inducted in the Hot Rod Hall of Fame, and was one of the first drivers to have his team become an active member of SEMA.